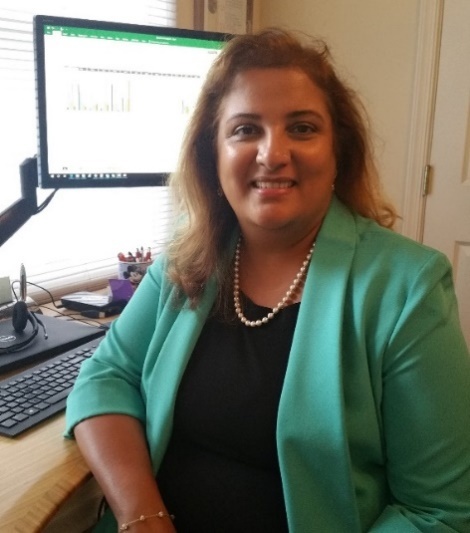 Vandana Janeja is an associate professor and the Graduate Program Director of Online Masters at the Information Systems department at the University of Maryland Baltimore County (UMBC). She is also serving as an intermittent expert at NSF supporting data science activities in the CISE directorate (2018-2019). During her sabbatical she served as a AAAS S&TP fellow in the Office of the Assistant Director in the Directorate of Computer Information Systems and Engineering (CISE) at NSF (2017-2018) supporting Harnessing the Data Revolution big-idea. Her research is in the area of data science with a focus on data heterogeneity across multiple domain datasets. Her recent projects include anomaly detection in massive network communication data, human behavior analytics in heterogeneous device environments, geo spatial context for IP reputation scoring, spatio-temporal link analysis across massive heterogeneous data, ethical thinking in data reuse and combination. She has published in various refereed conferences such as ACM SIGKDD, SIAM Data Mining, IEEE ICDM, National Conference on Digital Government Research, IEEE ISI and journals such as IEEE TKDE, DMKD, KAIS and IDA. Her research has been funded through federal, state and private organizations including NSF, U.S. Army Corps of Engineers, MD State Highway Administration, CISCO. She holds a Ph.D. in Information Technology from Rutgers University. She completed her MBA from Rutgers University and MS in Computer Science from New Jersey Institute of Technology. · Received new grant from the U.S Army Corps of Engineers, awarded September 2015. · Presented research paper at the ACM SIGKDD 2014 Workshop, ODD2 Outlier Detection & Description under Data Diversity at New York on August 24, 2014.